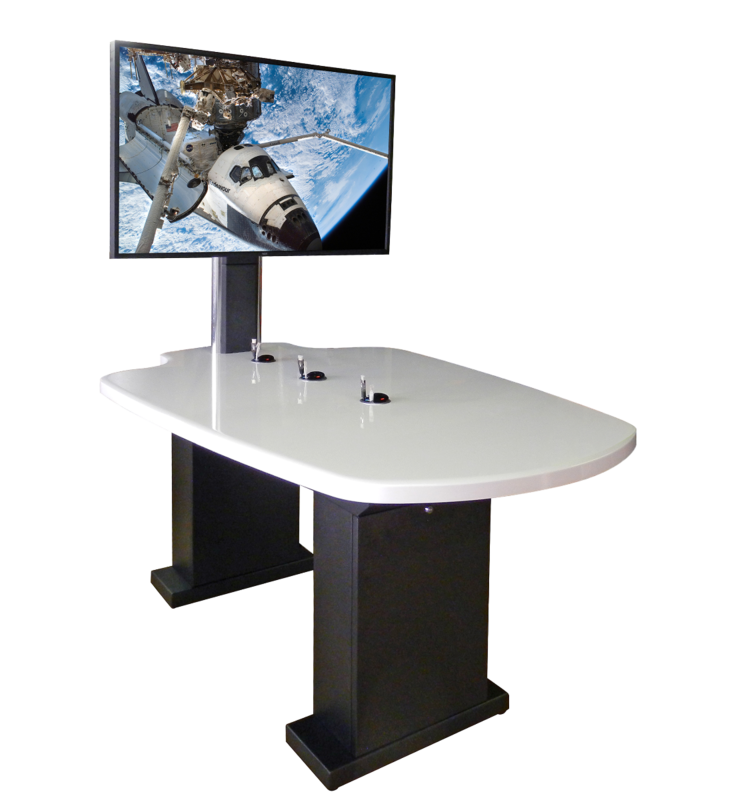 British based AV mount manufacturer, UNICOL, are increasing their footprint at Integrated Systems Europe (ISE) this year. Located in Hall 1 on stand N120, guests will be able to explore and trial a wide range of new, standard and custom AV mounting solutions for the corporate, education, retail and transport sectors. Launching on the stand will be their latest product, the Vertislide Serviceable Cassette Mount. Designed so that users can securely, and tidily, store their devices behind the screen in a swap-in-swap-out cassette tray. Utilising the lockable drop down tray, users can efficiently and discreetly change, replace or upgrade old/broken devices without having to take the screen off the wall. Keeping the out-of-order time to an absolute minimum, whether situated in your boardroom, reception, classroom and more. 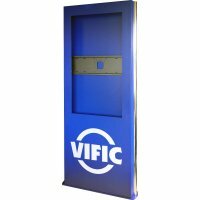 Expanding on the Obelisk Digital Signage System (ODSS), UNICOL will be displaying an array of bespoke and custom dual column kiosk/totem variations including; 1x3 multi-screen Roller Trak, illuminated branding; double sided, ticketing capabilities and more. With an almost infinite amount of possibilities (and colours! ), the ODSS’s completely customisable structure has proven itself amongst users by fitting in with their environment, requirements and branding. Additionally, the core H-frame, that is consistent through the range, allows for simple and rapid installation regardless of the style. Shortlisted for both an AV and InAVation Award, the ODSS is one of UNICOL’s most diverse products. Alternative mounting solutions will also be making an appearance on stand. 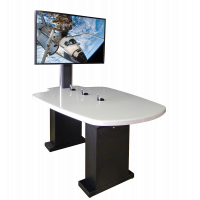 Those included are; the Rhobus Huddle, with a smooth motorised desktop allowing for seated or standing meetings; the NEW Mentor Teaching Aid Desk that allows users to control all AV equipment from one place with a motorised desktop and the option of illuminated branding; a variety of standard ceiling and wall mounts; menu boards and more. 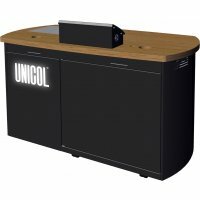 Visitors to the stand will have the opportunity to not only see the product but to explore the possibilities and diversification that UNICOL products traditionally offer. 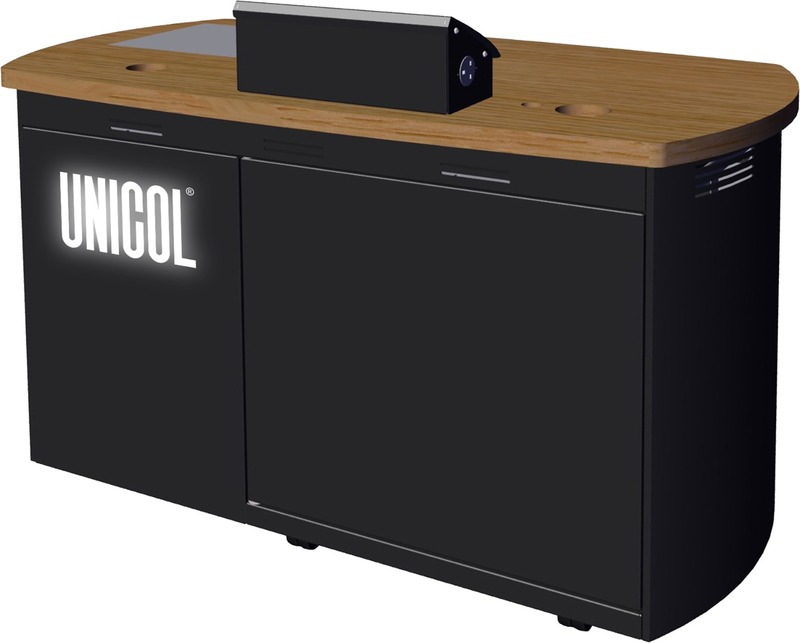 Across the 4-day show, UNICOL’s specialised team will be on stand and readily available to demonstrate, explain and help you with any standard, bespoke or new product – whether it is on or off the stand. To visit us on stand at the show for FREE, use code 707137 when registering at www.iseurope.org. Alternatively, for more information on products, custom projects or even just advice, get in touch via +44 (0)1865 767676 or www.unicol.com.